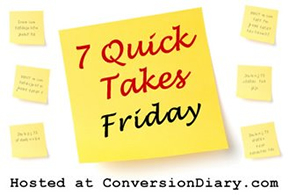 Joining Jen at Conversion Diary for this week's quick takes. Mark and I went on vacation with my family this past weekend to exotic Branson, MO. My mother-in-law came by our apartment to take care of our cats. Apparently the Ironing Fairy made a visit too, because this was the message awaiting us! In a text message to my mother-in-law, my phone auto-corrected "ironing fairy" to "ironic fairy." 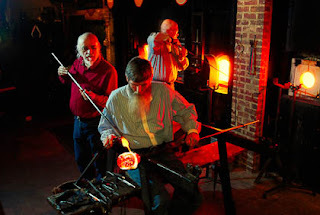 One of our favorite parts of the trip was the glass-blowing demonstration at Silver Dollar City, a theme park that is essentially pioneer Disney World. You can watch them craft vases, pitchers, sculptures, the works, and then you can buy the finished product at the store next door. See you how they get you? Clever. 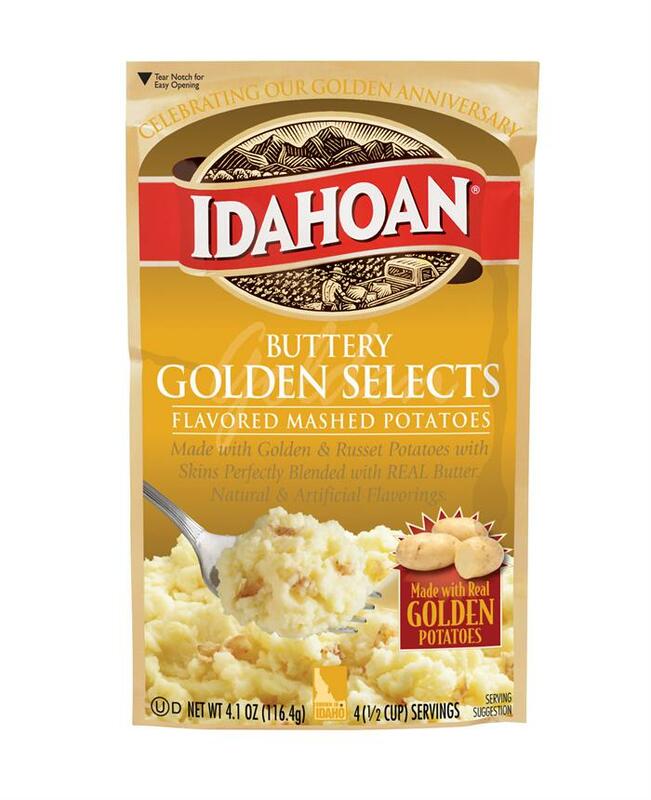 I didn't even know about the existence of instant potatoes until I was at least 10, and even then, I avoided them like death, but these are another story. They actually taste good. Who knew? I sure didn't. Usually I'm not the one sounding the clarion call of civilization's destruction, but a few weeks a go, I gave a talk on friendship to girls entering high school. These are top-notch girls who have agreed to spend a week in the summer reflecting on what is important to them and creating mission statements, etc. We got into the Nicomachean Ethics a bit and the types of friendship: those of utility, pleasure and virtue. As I prepared the talk, I kept thinking about Jane Austen's Emma and how most of the heroine's troubles arise from disordered friendships. More on that later. But the shocking this was, when I brought up Emma in my talk, not a single one of them had ever even seen the movie much less the book! Something must be done. Remember when I was complaining about having to do work stuff over the summer? Well this week, I am in catechetical training classes for anyone in the archdiocese who teaches religion. Apparently, 16 years of Catholic education wasn't enough background, which, sometimes is sadly the case. Anyway, I am here to tell you that it is impossible to cover 2 millennia of Church History in 12 hours. It can only be done if the presentations slides contain a shocking number of "scare quotes." Today, we're covering Church Doctrine in 8 hours. I'm interested to see how far we get. Sitting in class the past few days, remembering all the courses I took in college that spent semesters covering what we were currently breezing through, I came up with a plan. It's becoming ever popular for students to take a "gap year" before heading off to college. While I know I would have loved to do that, tis rather a frivolous endeavor. My idea will change that. I propose a gap year program that travels around Europe called "Christendom." Where we would travel would correspond to what we were covering. Benedictine monasticism? Subiaco and Monte Cassino. The Italian Renaissance? Florence. Avignon Papacy? Avignon and Sienna. Of course, you could just enroll at the University of Dallas, but I'm hoping to lure in all those people determined to get a practical degree that earns money. Sure, major in that thing that earns money, but learn this first. The real genius behind this plan is that I would get to pursue graduate studies in philosophy, theology, literature and history before launching the program. Also, it works out nicely that my career would involve traipsing around Europe. Why not? Love that you discussed Nicomachean Ethics with not yet high schoolers. 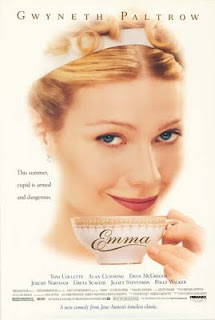 Also, no Emma, but how about Pride and Prejudice? signing off with my link since google account does not reflect it. apologies!